With nearly 15,000 entries, this bibliography serves to bring control to the literature of American-style professional football and, in a selective fashion, to Canadian and Australian professional football. Organized by major categories, each section and many of the subsections begin with brief introductions and conclude with notes designed to guide the user to related references in other parts of the volume. A combined author/subject index keyed to page numbers provides additional access to the thousands of individuals covered, the teams themselves, as well as other related topics. 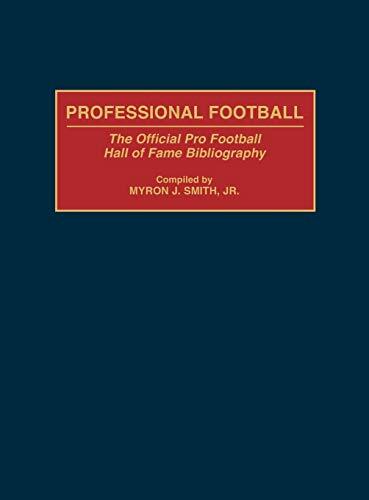 No other bibliography brings this detail to the subject of professional football, and, as such, is indispensible to all libraries and individuals with a serious interest in the sport.